The industry’s finest Ground Support Equipment Distributor and Manufacturer, Aviation Ground Equipment has been serving the Commercial and Military Aviation Industry for over 32 years. We were chosen to re-brand the company and develop a customized website with a highly engaging user experience for two very distinct and specialized audiences. Our chosen font style lends itself to appeal to a more technical audience. To establish strong hierarchy and consistency, we utilize a grayscale of the same font from ACEG’s logo as the primary typeface on the website, from headlines to body copy, which helps to display ample information in a neat and coherent format. This is an example of how the selected typeface would look as a paragraph of text on the new website. This typeface best compliments the brand, layout, and design of the website. We designed AGEC’s logo, marketing collateral and business cards to dually showcase both the commercial and military business sectors. Our goal was to create a unified brand grounded in aviation, that would successfully position AGEC properly before two completely different audiences. We aimed to create a website that felt like one cohesive site, rather than any type of split experience. Together, we have driven targeted traffic to the website and increased online conversions by over 300%. Our team immediately fueled AGEC by designing a brand equally representative of their commercial and manufacturing operations. By creating a site with a balance of the catalog's product structure, and an informational customized structure, we were able to clearly direct a user to either find commercial products or learn more about highly customized manufacturing solutions. 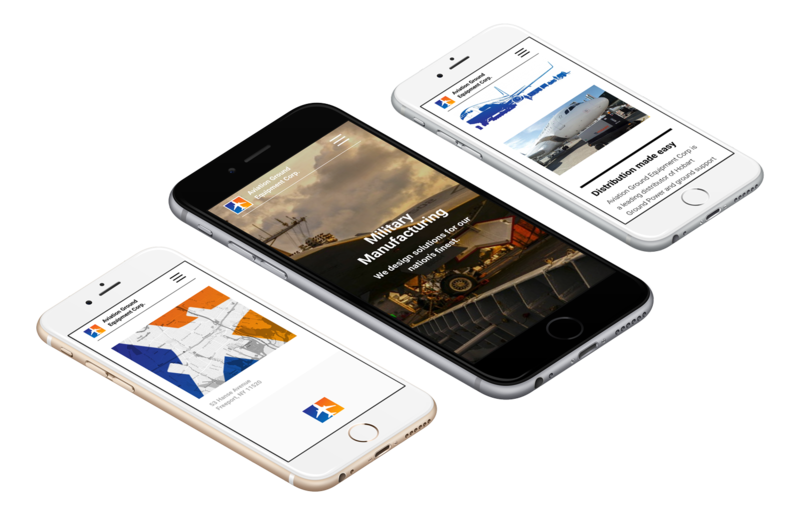 By positioning AGEC as industry-leaders, we created an incredibly intuitive website with a highly informational navigation for users to easily request a quote, or seamlessly download product specifications from any device. AGEC has been constructed for success today and well into the future. By positioning them as experts in their field before both of their audiences, and putting request a quote forms on every page and product, ACEG has seen tremendous growth in targeted traffic to their website. We anticipate making consistent enhancements and iterations to the website that optimize marketing campaign results for the road ahead.